Aries Cerat's achievement in preamplifier design is awe-inspiring! The first time I saw photos of Aries Cerat's impressive looking gear was in Enjoy the Music.com's 2012 Munich High End Show report. In March of the same year I read and saw more of their components on the March 2015 Industry News page. 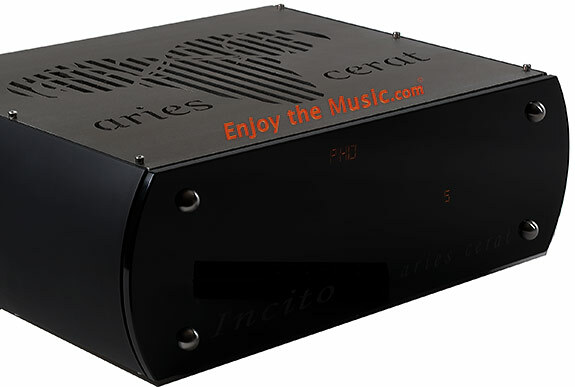 Then, I read the Industry News report in late October of 2013 – it was then that I finally decided to send an email to Aries Cerat to request a sample of the subject of this review, the Incito preamplifier. The Incito preamplifier might not have the same level of visual wow-factor that Aries Cerat's amplifiers have, most which feature massive cabinets and exposed tubes, and even though the Incito is Aries Cerat's smallest preamplifier, it is nonetheless quite large and heavy, weighing about 75 lbs. In fact, it is by far the heaviest preamplifier that has ever been in my system. Its chassis is made of solid stainless-steel, its sides are aluminum, and the preamp has a black glass front panel with no controls. It appears as if red LEDs shine through its front panel, but those are not LEDs but numitron tubes with a seven-segment filament to form the digits. All of the preamplifier's functions other than its main power switch are controlled by its heavy-weight remote. As are the first photos I saw of Aries Cerat's other products back as 2012, the Incito is a very impressive looking component. Aries Cerat products are designed and manufactured in Cyprus. No points off if you don't know exactly where Cyprus is on a map. To make sure I was correctly describing where it is located I turned to Wikipedia, where they write that Cyprus is in the Eastern Mediterranean Sea, south of Turkey, west of Syria and Lebanon, north of Egypt and east of Greece. With that out of the way we can turn our attention back to the Aries Cerat Incito, where in their literature they state that "simple circuits always work and most importantly sound much better". The vacuum-tube powered Incito is built around a zero-feedback gain stage, which has a transformer-coupled super-triode using "ultra-high" trans-conductance E280F which was only made by the company Siemans. Loading this NOS (New Old Stock) tube is a "high-quality" step-down transformer to ensure it performs at its best. The folks at Aries Cerat claim that the power stage can handle voltage swings of 300 Volts easily, and it is stepped-down to 80Vpp( 50V) which enables it to boast "transistor-like" noise specs. The winding techniques used and the high current delivery from the tube endows the Incito's triode stage with a very high slewing rate, and a very clean and extended frequency range. This would be impossible if the internal resistance of the tube and current delivery was not optimal. 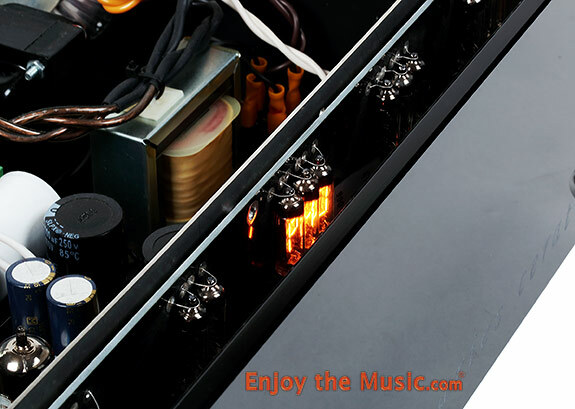 The E280F tube can drive the transformer to both high and low frequency extremes easily. To provide the Incito with a low output resistance the preamp uses a step-down transformer, and has enough current to drive any load down to 250 Ohms. The step down ratio of the transformer is 5:1, so the reflected internal resistance of the tube is thus divided by five squared so the actual output resistance of the transformer loaded triode stage reaches a figure that is typically impossible by a "normal" tube preamplifier. The same can be said for its current delivery, which is high enough to drive any load. The power supply uses a 5AR4 rectifier vacuum tube, and has separate double-Pi filtering for each channel, "oversized" chokes, and "high-speed" capacitors along with an "ultra-low-noise" adjustable bias supply. In fact, I checked the bias of the tubes before I began my audition of the Incito, and once again about a month later – the bias specs were still spot-on, exactly as when I first checked them. A "high-quality" discrete relay-latched-resistor attenuator is used, and as I said before, this attenuator can only be controlled by the remote. The signal attenuation circuit uses a discrete resistor, ladder/shunt hybrid topology, and the resistors are switched by "high quality" relays and the output resistance of this configuration is 10 times lower than the usual methods used in resistor attenuation, so the triode stage does not have bandwidth limitation due to the output resistance of its attenuation circuits. The rear panel of the Incito has both "True Balanced" XLR and RCA outputs, and my sample of the Incito has four RCA inputs and one pass-through home-theater input. The rear panel of the Incito has five inputs, and any of the five can by user-programmed to become a home theater pass-through input by locking that input to a certain gain level. One can program this input by a switch on the rear panel. 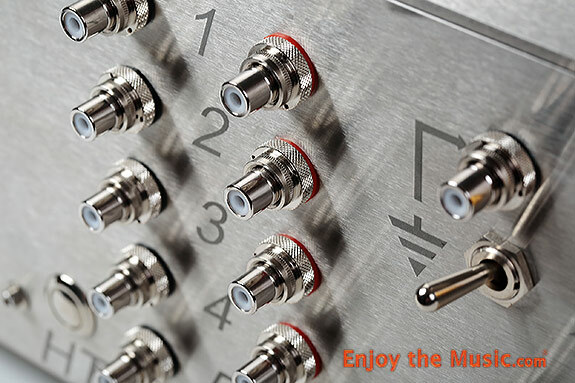 One can also request balanced inputs to replace any number of the RCA inputs that are standard. There is a convenient ground-lift switch next to each output, and of course there's an IEC outlet for a power cord of one's choice. A heavy-duty remote control worthy of the Incito is included, which controls all of the preamplifier's functions including volume, mute, balance, input, and display on/off. I found the remote to be ergonomically satisfying, although I wish the mute control button wasn't so close to the volume as I accidentally pressed it at inappropriate times more than once. There is no way I know of to control the preamplifier without the remote – as the front panel is void of controls. The Incito is not only the heaviest preamplifier that I have reviewed or used in my system, but it is also the preamplifier with the most impressive fit and finish I can remember having in my system for review. Its dark glass front panel with four silver studs in its corners, the Aries Cerat logo machined into its stainless steel top plate, and the display glowing behind its front panel give it not only a sleek, modern appearance, but a stylish one, too. Once placed on a shelf if my Arcici Suspense equipment rack, I connected it as I would any other preamplifier – component inputs connected to its inputs, output connected to the power amplifier, power cable connected to the wall's AC outlet. Throughout the review period this preamplifier didn't malfunction in any way or produce any untoward noises. In fact, one of its most salient features was immediately apparent – its silent background, which at first was a bit unsettling. This was only because I've never heard a tube preamplifier with such a silent background, so silent that the only way I knew that its power was on and the circuit un-muted was to lower the stylus into the record's run-in grooves. Yes, there is a small amount of noise that came from the other components in the chain, but this was hardly noticeable unless I pressed an ear to the speaker's grille. Of course this silent background has many benefits (other than hearing the pre-echo before the first note is played on some less than perfectly pressed records) such as an apparent increase in micro- and macrodynamics, and a general sense that one is hearing the music emanate from what seems to be a source-less system. The Hammond B3 organ isn't universally loved by jazz audiences, especially when used in a jazz setting as part of a small ensemble -- there is a tendency for the organ to dominate its sound. Yet I'm sure more would be convinced of the appropriateness of the organ in this setting if they spun a good sounding copy of Larry Young's Unity album, originally released in 1966 on Blue Note. There are about 20 versions that have been released over the years on vinyl and CD, and because I've been a fan of this album since I was a teenager I've owned and listened to quite a few of them. By far the best I've heard is Music Matter's double 45rpm version pressed in 2010. In the hands (and feet!) of Larry Young the B3 becomes as nuanced and expressive as any other instrument on the recording, and this Music Matters pressing brings out even more nuance and expression, not to mention the ambience of the studio, dynamics, instrument timbre, you name it. Plus, the only background noise on this pressing is tape hiss – vinyl surface noise is practically non-existent, which of course brings out even more of sound of the ambience, dynamics, timbre, etc. There is no question that the analog front-end of my review system has much to do with the fine sound I get from this fantastic pressing, which currently features a Tri-Planar 6 tonearm mounted on a Basis Debut V turntable, using a Kesiki Purple Heart NS I recently reviewed. The phono preamplifier is a Pass Laboratories XP-15, which is linked to the Incito preamplifier via a pair of MIT interconnects. The turntable's AC synchronous motor's power cord is connected to a PS Audio Power Plant P300, feeding it a perfect sine wave either at 60Hz when playing records at 33rpm, and 81Hz at 45rpm, such as this album by Larry Young. Despite this admittedly fine front-end, I've read reviews and have otherwise heard from those who use an analog playback systems with less (and greater) quality than mine, and this Music Matters pressing of Unity is universally praised by all that hear it as the best one is likely to hear short of borrowing the master tape. With the signal passing through the Aries Cerat Incito Larry Young's Unity never sounded better. In fact, playing it with the Incito in the system is it's as if I've never really heard this album before. Yes, the Incito is as transparent as any preamplifier I've ever heard, yet at the same time it is as if the signal is being passed through some sort of musical translator, removing any and all barriers to fully understanding what is on the recording. And at the same time, the Incito seems to be able to decrease the amount of signal being lost whilst it passes through the chain of audio gear, which ends up increasing the amount of signal that passes through to the power amplifier. This description might sound more than a bit obtuse, but the Incito increases the frequency extension in both the bass and the treble, increases the amount of micro- and macrodynamics, extends the soundstage in every direction, and increases the dynamic distance between instruments and groups of instruments as no preamplifier I've ever heard before – at least not one costing less than $20,000. The Larry Young LP starts off with the preeminent Elvin Jones playing an almost Teutonic pattern on the snare drum, but is almost immediately joined by the rest of the band playing the theme of trumpeter Woody Shaw's composition "Zoltan", the one he lifted from Kodaly's Hary Janos Suite, and where the Incito's low-end prowess lets us hear how Young's bass pedals are as important as the theme played by the rest of the band. Elvin Jones' intro is short, but long enough to have made me sit up straight in my listening seat, amazed at not only the lifelike sound coming from the Sound Lab speakers, but how when the rest of the band joins each instrument, cemented in its place in the huge soundstage, and allowed me to hear each instrument's individual contribution. The air around each instrument was palpable, as if I can see the cigarette smoke in the studio with my ears, yet the Incito was also somehow capable of piecing together the band into an organic whole – so the entire confabulation sounded like music being played by human beings in a real space, that space being the studio of one Rudy Van Gelder in his relatively new studio that he built in Hackensack, New Jersey. Joe Henderson's tenor sax solo comes in after Mr. Shaw's. I'm not in the position to discredit Woody Shaw in any way, shape, or form. But Joe Henderson's solo smokes and I'm sure no one complained at the session that it takes up a good portion of the middle section of the tune. It is modern-jazz taken to the extreme, yet stays anchored in the blues, bop, Coltrane, free-jazz and stream-of-consciousness. After a short solo by Larry Young his horn enters again in a section where the soloists trade fourths and the fun continues. Joe Henderson pushes his instrument to the edge, and it was at this point that many probably thought that this cutting edge jazz was not only jazz's present but its foreseeable future – rather than just present-day crest of the wave. The Incito reproduces each instrument, group of instruments, and the entire preceding as if it can anticipate what each player is thinking. Along with these amazing feats of supernatural audio engineering ability, the Incito displays what its designers were seeking when building this unit – its high frequencies allowed Elvin Jones cymbals to have a natural snap-ping-ring-decay that could be heard as a transparent window into the session, along with a natural midrange that could have only been accomplished by gifted engineers to obtain specifications such the "transistor-like noise specs" Aries Cerat speaks of, as well as the "very high slewing rate, and very clean and extended frequency range" that are patently obvious after only a short listening session. After listening to both sides of Unity, I felt as if I had some sort of sonic epiphany. The trait of this preamplifier that I have most trouble describing is its "muscular" sound. I don't wish to infer that the Incito has a sound that is anything less than the most transparent I've ever heard from a preamplifier in my system. Yet, while the lower frequencies, which of course include the mid-bass, are as transparent and ruler-flat sounding as the Aries Cerat Incito I still came away with the feeling that this preamplifier was able to pass onto my Pass Labs X350.5 and to my speakers the weightiest sound that I've had the pleasure of hearing in my listening room. Sure, I can increase the low end by tweaking the controls of the Velodyne HGS-15b sub situated in the corner of the room. The Sound Lab speakers also have controls on the rear panel, letting the listener calibrate the sound to suit the room's acoustic idiosyncrasies. But the music that passed through the Incito did not sound as if I've tweaked the controls on my sub and speakers – not at all. These controls enable one to make subtle changes that might not even be heard by the non-audiophile (obviously if I crank up the volume of the sub to 11 anyone with ears (and a gut) will hear this, but that's still not what I'm talking about). Anyone who has stood or sat anywhere near a live musician or musician will tell you – even if they are not playing loudly – the sound is enveloping and can be heard and felt throughout one's body. The Incito is able to perform this feat as live music can, even at a low volume. The Incito manages to do this by reproducing the original event as it was recorded, with the original intent of the music, producers, and engineers who made the recording passing through to the speakers and to the listener's body and ears. When thinking of a "muscular" recording I immediately turn to Sir George Solti's recordings of Mahler of Decca Records. Every symphony he recorded in the late sixties to the early 1970s is worthy of any collection that contains Mahler, and his reading of Symphony No. 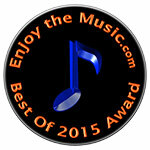 5 with the Chicago Symphony Orchestra is especially noteworthy. I've heard plenty of recordings that blow me over when the full orchestra enters after the trumpet's intro at the beginning of the first movement – but nowhere near as explosive as Sir George's on this record. My audiophile friends and I would joke about the over-the-top reading that was pressed into the grooves of these records, imagining that Solti instructed the timpanist to pound the skins of the drum so hard propel him at least two feet in the air during the many climaxes of the score. There are, of course, quieter moments in this symphony, none more famous than the Adagietto, named so because it is a short Adagio. This movement is likely the most famous section in any of his symphonies, made even more famous when Leonard Bernstein played it a Robert F. Kennedy's funeral. When Mahler himself conducted this symphony this short movement came in at about 8 minutes, though most conductors stretch it out to between 10 and 12 minutes, milking its sentimentality. Solti's version is ten minutes long, so not as long as others, and so he prevents it from collapsing into an elegy, The Aries Cerat Incito to lets one hear the sumptuous way in which the Chicago strings and harp play the Adagietto. But it's more than that: when spinning this record it is as if I can focus on a single player in the string section, much as I do when sitting close to the stage in a concert. As I focus on this player, my mind often drifts and I end up letting the sound of the section wash over me, astounded at Mahler's command of orchestration, then my mind snaps to attention as I again turn my attention back to the single player. The Incito made it easy to slip into this meditative state, as time stops and I am immersed in this single movement, its means of delivery disappears, as I am transported to this recording session's time and place, the Medinah Temple in Chicago in March of 1970, yet in a much more comfortable seat. The treble of the Incito is worth mentioning only because it is hardly worth mentioning. It does not draw attention to itself, as the treble in a live performance doesn't draw attention to itself – as long as one is not sitting or standing too close to the source of that treble (think the upper registers of the piccolo, or anywhere near the percussion section of a large orchestra). Cymbals and other metallic percussion, the upper registers of the human voice and the frequencies just about any instrument that is played on a recording benefit from the Incito's prowess with these frequencies. After living with and listening to the Incito almost on a daily basis since it arrived a bit more than a month ago it became quite evident that the this preamplifier takes advantage of the fact that it is powered by tubes, without any of the disadvantages that one might expect – at least from the tube units of yore, as tube amplification and preamplification have come a long way. Still, at first one might think that the treble of the Incito is a bit rolled-off, that is, if one has been listening to a less-than-distinguished example of the art of solid-state preamplifier design. The high frequency reproduction of the Incito demands it be compared with the sound of real instruments in a real space. Of course, sounding "real" requires than that the treble is extended, and the amount of treble is "correct". These are important characteristics, of course, but perhaps more importantly the Incito is able to place dynamic distance between instruments or groups of instruments that are playing at the same level. The Incito places these instruments or groups of instruments within the appropriately scaled soundstage, and these images have as a sharply drawn outline – as is possible given the quality of the recording that passes through it. This dynamic distance is a hallmark of the best tube gear that has passed through my system – and the Incito is not only the best I've heard in this area not only of late, but possibly ever. Yet the Incito doesn't sound like a great tube preamplifier. Nor does it sound like a great solid-state preamplifier. It sounds like a great preamplifier. It's unfortunate that some of the best high-end components and speakers I've heard only sound good when playing one type of music, and 99% of the time that type of music is classical music, acoustic instruments playing in a concert-hall setting. Most of the time this is a trait of speakers, but there are components that seem to be voiced to only sound good with the classics. The Incito is not one of these. I played all types of music through the Incito with the same, excellent results. The newest wave of metal bands such as Down (from New Orleans), Electric Wizard (UK), and The Sword (Austin, TX) sounded incredible through the Incito – the distorted, Marshall-stack powered electric guitar seared and pummeled the air in my listening room, as the uber-compressed EQ'd to the max drums and bass turned up to 11 made mincemeat out of the belief by some that a recording studio is not a "real" space. Electronic music that defies classification such as the latest from the Simon Posford and Raja Ram's outfit Shpongle, their album Museum Of Consciousness which is akin to a sonic contortionist that you can dance to, enabled the Incito to demonstrate how it can reproduce the highest highs and the lowest lows with ease, and at the same time draw one into the music as it engulfs you with its sonic goo. Sonically, I can't think of any aspect of the sound quality of the Aries Cerat Incito that I don't like. Yet I have difficulty describing the "sound" of the Incito. It is transparent, yet very detailed. It is muscular sounding, but has the ability to reveal inner details and microdynamic shading like no other component I've heard. With the right recording it can reproduce the sound of a full orchestra, with each instrument accurately placed throughout a panoramic soundfield, but also can reproduce a heavy metal band's recording that is potent enough to satisfy even the most diehard metal fan. It can reproduce a classic Blue Note jazz quintet as if one is a fly on the wall of the studio, but never sounds as if one is holding a sonic magnifying glass to the preceding. I suppose I could say the Incito sounds like music. 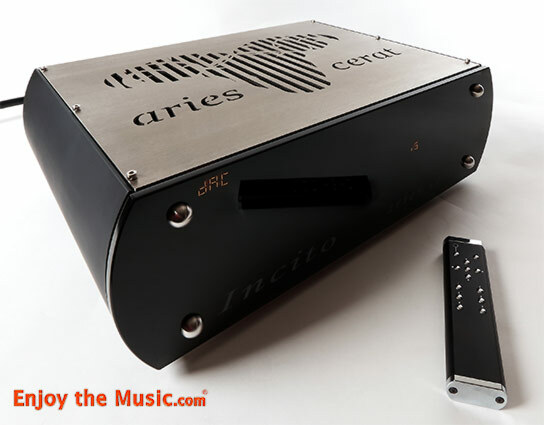 But even that metaphor doesn't fully describe the Incito, Aries Cerat's achievement in preamplifier design is awe-inspiring! Surprisingly, for what I gather from their website, the Incito is their smallest preamplifier. I can only imagine the sound of the Incito paired with other Aries Cerat components. Scary. Functionally, though, the Incito took a while to get used to. There are no front panel controls, so one must use the remote to change any settings, including the volume. Some may like this feature more than others, I feel silly complaining about this, because the Incito is such an amazing piece of audio artistry – a ninety-five pound, twelve thousand dollar piece of audio artistry, but artistry nonetheless. If one can make this investment (with a small amount remaining to donate to one's nonprofit organization of choice, I hope) go for it. I can't imagine one regretting it. Bravo Aries Cerat!